As well as being Chair of Nelson and Colne College, Stephen is also the North West member of the Association of Colleges (AoC) Governors’ Council, and a member of the AOC Board. Stephen has over 20 years of experience in local government – previously being Chief Executive of Pendle Borough Council until 2015, after being Director of Finance and Treasurer at the Council. Stephen is a member of the Chartered Institute of Public Finance and Accountancy (CIPFA). 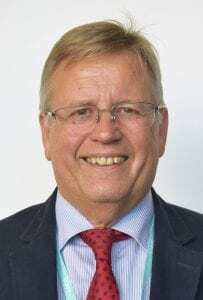 He has acted as an Advisor to the Local Government Association (LGA), and as well as being our College Chair, is currently a non-Executive Director of East Lancashire NHS Hospitals Trust.